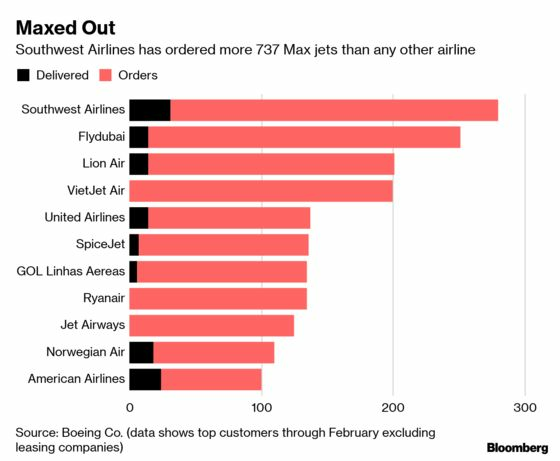 (Bloomberg) -- A faulty sensor on a Lion Air 737 Max that’s been linked to the jetliner’s deadly crash last October and a harrowing ride the previous day was repaired in a U.S. aircraft maintenance facility before the tragedy, according to investigative documents. Accident investigators in Indonesia, home of Lion Air, and the U.S., where Boeing Co., the plane’s manufacturer, is based, have been examining the work that a Florida repair shop previously performed on the so-called angle-of-attack sensor, according to briefing documents prepared for Indonesia’s parliament. Much of the concern by regulators and lawmakers after the Lion Air and Ethiopian Airlines crashes has focused on Boeing’s design of the Maneuvering Characteristics Augmentation System, or MCAS, which was programmed to push down a plane’s nose to help prevent aerodynamic stalls in some situations. Initially the MCAS system was designed to push the plane’s nose down if one of the angle-of-attack sensors indicated it was in danger of going into a stall. But the preliminary report by Indonesia on the Lion Air crash shows that maintenance and pilot actions are also being reviewed. Documents obtained by Bloomberg show the repair station XTRA Aerospace Inc. in Miramar, Florida, had worked on the sensor. 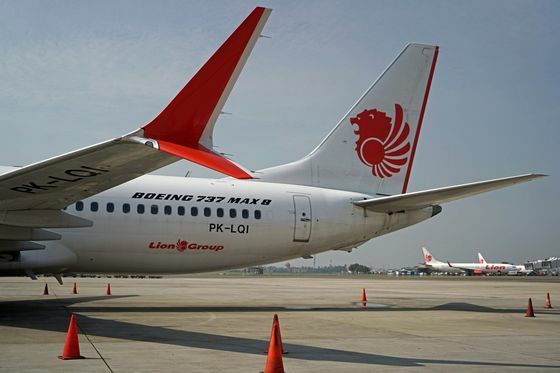 It was later installed on the Lion Air plane on Oct. 28 in Bali, after pilots had reported problems with instruments displaying speed and altitude. There’s no indication the Florida shop did maintenance on the Ethiopian jet’s device. The sensor was made by Rosemount Aerospace Inc., of Minnesota, a subsidiary of United Technologies Corp. United Technologies declined to comment, citing the investigation. Angle-of-attack sensors, which operate like a wind vane on the side of a jet, are designed to show how air is flowing relative to where the nose is pointed and alert pilots of a too-steep climb that could result in an aerodynamic stall. In the case of the Lion Air flights, the left-side sensor was showing the nose pointed about 20 degrees higher than was actually the case. It was that erroneous reading that caused an anti-stall computer system to assume the plane was in danger of losing lift and to repeatedly try to push down the nose on the final flight and the one that preceded it, according to the preliminary report that cited information from the plane’s crash-proof data recorder. XTRA Aerospace is certified by the U.S. Federal Aviation Administration to perform repairs on multiple Boeing and Airbus SE models, according to its website. U.S. teams assisting the Indonesian investigation reviewed the work by the company to ensure that there weren’t additional angle-of-attack sensors in the supply chain with defects, said a person familiar with the work. They didn’t find any evidence of systemic issues on other sensors the company may have worked on, said the person, who wasn’t authorized to comment on the work and asked not to be identified. Representatives of the NTSB, which is assisting Indonesia and Ethiopia in their crash probes, and the FAA, which is also participating, said they couldn’t comment on a foreign accident investigation. Lion Air spokesman Danang Prihantoro declined to comment on the inspection of the sensor, citing the ongoing accident investigation, or identify the company that worked on the part. It’s common for licensed repair stations to overhaul older parts so they can be resold, said John Goglia, a former member of the NTSB who earlier worked as an airline mechanic. Airlines can save money buying used parts and U.S. regulations require that the parts meet legal standards, Goglia said. The Indonesian preliminary report doesn’t say what went wrong with the device but indicates that the plane’s maintenance is a subject of the investigation. Even if it was improperly repaired or damaged in transit, the procedure for installation on the plane should catch any problems with the device, according to Charles Horning, chairman of the Department of Aviation Maintenance Science at Embry-Riddle Aeronautical University in Daytona Beach, Florida. When Goglia was a mechanic working on the 737 and other models, there was a procedure to move a new angle-of-attack sensor on the side of the plane and then check to see if readings in the cockpit were correct, he said. With today’s electronic cockpits, mechanics would probably use a testing device that plugs into a computer system, he said. So far, it isn’t clear why that required test didn’t identify that the part wasn’t functioning properly. 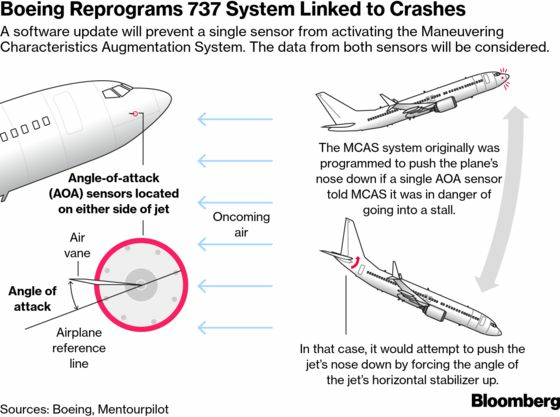 The 737 Max that crashed in Ethiopia on March 10 also apparently had issues with the same type of sensor, which triggered a safety system on the plane that was driving down the plane’s nose, according to people familiar with the accident. In that case, investigators are still attempting to locate one of the sensors to help determine why it malfunctioned, the people said. A preliminary report on that crash has not yet been issued and it could not be learned if the sensors had been previously repaired. Ethiopian Airlines Chief Executive Officer Tewolde GebreMariam has said there were no indications of maintenance issues before the flight.